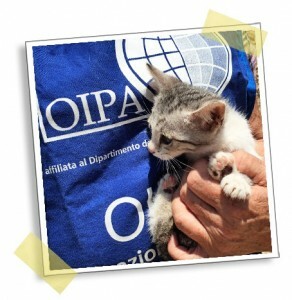 OIPA was founded in 1981 by Milly Shär Manzoli and belongs to the Union for the Abolition of Vivisection. OIPA is NGO affiliated with the UN Department of Public Information and the UN Economic and Social Council. 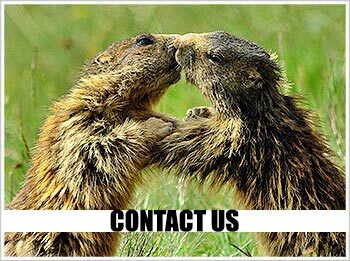 The Organization’s purpose consists in the defence of animal rights and in the defence of the animals from every kind of mistreatment. It also follows the purpose of improving the public health through the abolishment of any kind of animal experiment throughout the world. The Organization also works for environmental defence, where precarian ecological conditions may damage the human health and animal and vegetal life in their wholeness. The Organization wants to bring its contribute for a better, a healthier and a more human world, for a medical science that is not based on violence, for a more efficient sanitarian structure, for an ecologically clean environment. The activities of OIPA are based exclusively on non-violence and non-infringement of individual personal liberty. 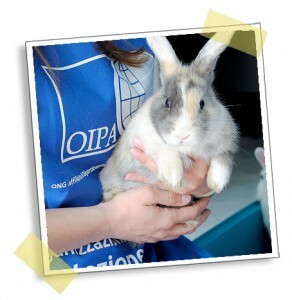 The primary aim of OIPA is the abolishment of vivisection in every country throughout the world. For the scientific area, OIPA can count on the collaboration of specialists working in the medical and research area, LIMAV- International Doctors. International Doctors is an international legacy of doctors from different countries who fight against vivisection on a scientific level. The objects of International Doctors are to support better methods of scientific and medical research for curing disease and testing products without animals. This year’s DPI/NGO Conference ” Human Security and Dignity: Fulfilling the promise of the United Nations”, draws on the remarks that collective security is ultimately based on the well-being of the individual. At the same time, it’s to point out that such security doesn’t exist for hundreds of millions of people all around the world. Universal human security is at the heart of the Millennium Development Goals, embraced by all Member States as a blueprint for building a better world in the twenty-first century. It is central to our campaigns for universal immunisation and education, food security, adequate housing and full employment. Achieving human security requires a dynamic, innovative partnership among the United Nations, Governments and non – state actors. That’s why this year’s Conference focuses on the many civil society campaigns that energise the work for every aspect of human security. The conference brings together new voices from all around the world, ranging from a high school principal in Louisiana to a business woman in Malawi; from a human rights activist in India to a psychoanalyst in New York; and from a radio journalist in Morocco to a peace educator in Albania. I greet the men and women who live for their ideals and who dedicate themselves to making a tangible contribution to human security. The last decade of twentieth century witnessed the increase of confidence in international co-operation. Concern has now arisen that the post-millennium world might change its course thanks to this new spirit of multilateral co-operation. The traditional concept of security, meant in national and military terms, is tied more to relations between States than among people. However, true human security, as recently defined by the report of the Commission on Human Security, is the result of the aspirations of people seeking a sense of well-being and dignity in their daily lives and for the future. This year’s 56th Annual DPI/NGO Conference “Human Security and Dignity: Fulfilling the promise of the United Nations”, provides a forum for civil society and the United Nations to jointly reassert their determination that security and living in dignity remain viable goals, through common commitment and international solidarity. Today more than one billion people, nearly 20 per cent of the global population, live in destitution. For them, the struggle for survival is a daily battle. For many others, the degradation of human security is often a slow, silent process, and may capture the attention of the international community only when a humanitarian crisis erupts. Such crises have deep transnational consequences. In hindsight, we have come to realise the benefits of preventive action. The DPI/NGO Conference will consider the question of human security within the framework of universal human rights. It will bring together psychologists, educators, policy makers, economists and other voices from all around the world whose experiences reflect the front-line campaigns to make human and global security reality. In the sessions, Conference participants will discuss basic needs as well as the psychological synergies needed to achieve healthy and personal well-being. They will explore the transformational power of education. They will examine concerted campaigns to empower different groups of people in overcoming oppression. They will propose sustainable solutions to our troubled relationship with the environment. Societies have developed a variety of norms, processes and institutions to improve the security and dignity of their citizen. To achieve real social stability and prosperity, however, the experts have recognised that people must be able to reach their full potential and fulfil their creative and spiritual needs. A breakdown of societal processes and institutions can cause enormous fear and loss of dignity. Failure to assure human rights, adequate economic and social security and opportunities can be psychologically devastating. In the conference will be inspected the psychological complexities of human security and dignity, focusing on mental health, spirituality, prejudice and tolerance. It will be examined people’s perceptions of security and dignity as well as the ways they recover from trauma and disruption resulting from violence and chaos. As United Nations Secretary – General Kofi Annan has pointed out that education is the key to the new global economy, from primary school to life-long learning. Knowledge is the best defence against prejudice, poverty and oppression, and offers the greatest hope for lasting peace. 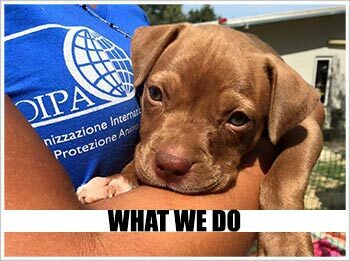 OIPA International is 360° devoted to animal rights defence, and fights against vivisection laboratories, factory farming, traffic of exotic animals, hunting, fur and entertainment industry and animal abuse in the widest meaning.